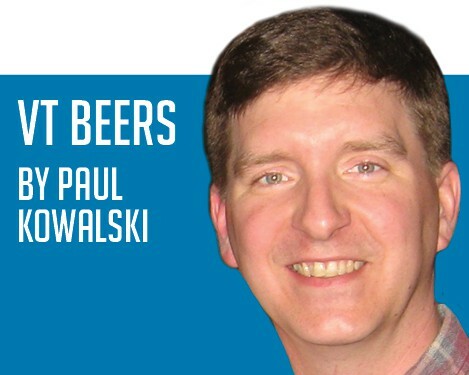 A few months ago, I made an appointment with the editor of The Mountain Times to discuss some ideas I had for a beer-themed column. She bought into my idea of visiting with members of our region’s craft brewing community and reviewing Vermont-made beers with them. To keep it interesting, we would taste a beer from a Vermont brewery — other than the one I was visiting. In a few cases, I would be meeting with old friends, and in others I’d be making new ones… all within the context of tasting a Vermont-made craft beer from someone with intimate knowledge of Vermont-made craft beer. For this issue’s tasting, I invited Dave Hartmann, brewmaster at Long Trail Brewing Company in Bridgewater Corners. Hartmann and I are old buddies from when we were kids in our 20s working in a basement brewery in an old woolen mill. As Hartman was a surprise guest at my tasting with Long Trail’s Matt Quinlan, Quinlan got out of a meeting in time to join Hartmann and me for our second can of this tasting. Friends of mine for more than two decades, having a beer with these guys is like coming home for me. The banter is still every bit as good! Brewery: Burlington Beer Company, Williston, Vt.
Packaged in white 16-ounce cans with a cryptic, almost hieroglyphic, green graphic design upon them, “Light in the Window” from Burlington Beer Company definitely stimulates one’s curiosity before the can is even popped open. The white can and curious image stand out from other noisier packages on the shelf, which is a plus for the brewery amidst a sea of craft beers competing for our attention in the store. When placed on the shelf next to other beers from Burlington Beer Company, the package fits in very well as being part of a brand of beers, but the green image is distinctive enough to differentiate it from its sister brews. A tight bead of small bubbles made up the head, and by visual observation, carbonation and head retention appeared low. On to the taste, we found a pleasant tartness and dryness that rye, a cereal grain being found more often in beers these days, conveys. Those aspects of rye make it especially conducive to use in India pale ales. “Rye lends a certain stringency that when done right adds some great notes and depth to a hoppy IPA,” said Hartmann. As we continued tasting the beer, we speculated about the meaning of the label artwork, and came up with several credible meanings. The designer may have had some specific ideas in mind, but left plenty of room for interpretation, which is fun!